Immaculate Conception Catholic Church is located in the neighborhood of Clintonville, in Columbus, Ohio. We are a community of Roman Catholics, united in our commitment to serve God and one another. It is our purpose to proclaim God’s love in all we say and do. We honor the Blessed Mother, patroness of our parish, through prayerful devotion, acts of charity and love of God. We are nourished through daily celebration of the Word and the Eucharist. We are blessed to be able to offer Perpetual Adoration, with exposition of the Blessed Sacrament, twenty-four hours a day. 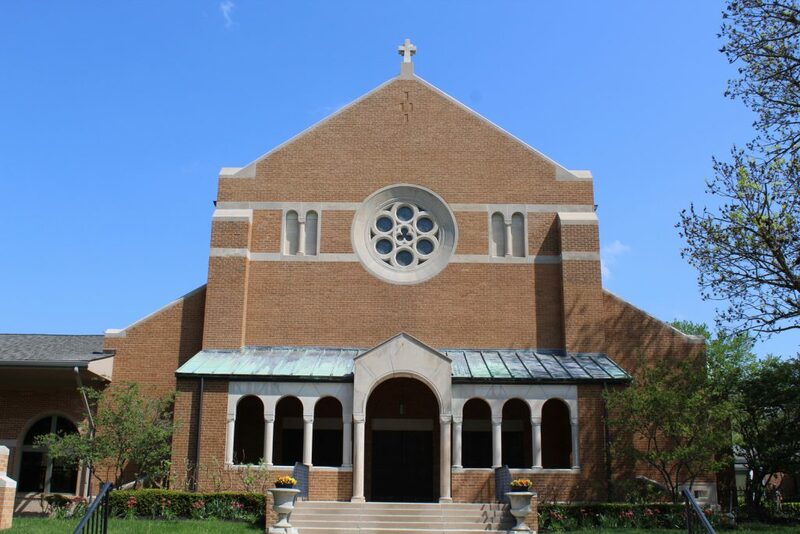 Immaculate Conception is a vibrant, active, faith-filled community of about 1500 families. Our parish grade school serves Grades K-8 with an enrollment of about 450 students. There are many opportunities for parishioners to be involved and contribute to the life of Immaculate Conception parish. Parish families are invited to participate in spiritual enrichment, social activities and educational opportunities. Parishioners serve the parish and community through their involvement in the St. Vincent DePaul Society, the parish Women’s Club, Men’s Fellowship, Knights of Columbus, Rite of Christian Initiation for Adults, PSR (Parish School of Religion), B.R.E.A.D. (Building Respect, Equality and Dignity), Adult Bible study, and other parish organizations. We warmly invite you to visit our parish, or join us for any of our daily or weekend Masses. Our parish office is open weekdays, 9:00 a.m. – 4:00 p.m. Our parish staff will be happy to welcome you! Where there is Christ Jesus there is the Catholic Church.